Back to school supplies are, let’s face it, expensive. Kids have grown during the summer months and even if they haven’t, they generally want new gear as well as to start the year fresh. And most of the time, we want to give kids the ‘new stuff’ but often this ‘stuff’ isn’t 100% necessary or we simply can’t afford it. Try telling that to the kids though! This is where parents have to get creative. So I wanted to share some tips with you today that I have collated through research and my own personal experiences–turns out it’s a top ten list now. If you have any of your own please share them! There are loads of lists on the web to help you. Try to find one for the right age group–the one I linked to wouldn’t be much good for a uni student. And once you get into the swing of things you will be a dab hand at this. But save that list, write it on the computer so you can refer to it next year. It’s easy to get carried away with things the kids ‘might’ need. So, try to stick to the basics as you can always get extras later if you realize these are essential. You can pretty much guarantee that kids go through phases. One minute they love Dora The Explorer, then next they can’t stand her. So try not to buy lunch boxes and accessories that are themed. Nice fun but classic ones may last a little longer as they are not as ‘high fashion’. If your kids insist on having a particular item, then a good trick is to get them to personalize it themselves with stickers. These are cheaper, can be removed and always keep the accessories different year after year. On that note, I would highly recommend that if you are trying to save money, don’t take your kids shopping with you when you get their back to school supplies. Otherwise you may find your basket filled with some interesting items. We are all price sensitive but my advice is to pick up products, roll it around in your hands and gauge the quality before you buy. A few pennies or dollars here and there can make all the difference if you can extend the life-span. My mother bought me a leather pencil case when I was 7 and it lasted me (graffiti aside) until I was 14. From pencils to erasers and even rulers, take a quick walk around your house and empty those everything drawers you have–come on, I know you have one. See what’s there, I bet you find something that you would have bought for the little ones. Try to use whatever you have at home first. I actually used to love taking pens and other stationary from my parents ‘promotional’ drawer, ones that were given for free at conferences. But maybe that’s because they were pretty cutting edge (more than one colour pens and ones that sometimes had lights on). This is tougher than it sounds, but usually from July through October is when the best deals for school supplies are around. So make sure to check your local weekly flyers for any good offers and shop around. Yes, maybe Walmart is good for calculators but not so much for pencils; try to see where the cheapest places are for each item as this will greatly help with your subsequent back to school searches. I grew up wearing uniforms to school, which my parents preferred, as it was less influenced by trends and fashion and they could get away with buying second hand clothing or getting hand-me-downs. But if your little ones don’t wear uniforms, this may be tricky. Try looking at this article on About.com for tips on this top. While some are time consuming, if you are skilled at sowing then upgrading clothing yourself is a fun option. Did you find a ridiculously good deal on a non perishable item? Buy loads of them and stockpile. It may cost more now, but will save you even more in the long run. Think notebooks and crayons: there is a lot to be said about buying in bulk. This applies more to higher education, but not always. 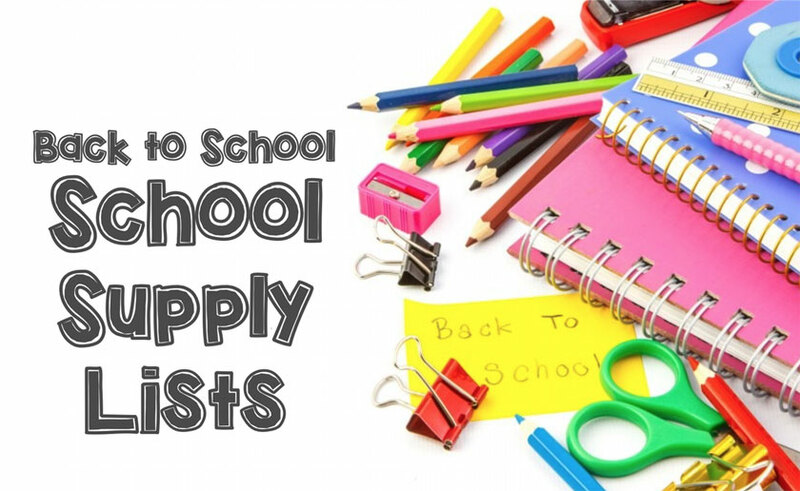 Teachers quite often request parents to purchase certain supplies that they will be using throughout the year. Please don’t be one of those parents who forgets as it can be a little embarrassing for the kids and sometimes teachers even manage to get deals on the items owing to the economies of scale principle but you may have to buy it from a certain store. You will inevitably buy the wrong thing at one point or another. Most stores have good return policies, but you will always need proof of purchase if you don’t want to waste your money. Make sure your kids clean out their locker–if they have one–before finishing school for the year. Gather up all their school supplies and see what you can keep and what you need to throw away.